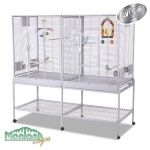 Double parrot cages are ideal for households with two parrots. A double cage takes up less space than two separate parrot cages. 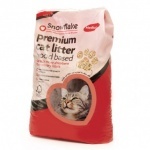 Most also have removable dividers which can be used to make a single larger cage. 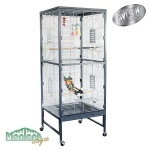 Aviaries are a great way to allow your parrots access to fresh air and daylight.